These are simply the most well made men’s tights we’ve ever had. Fully boarded and with a reinforced toe and brief, these tights are more considerately designed than any other leg wear for men out there. 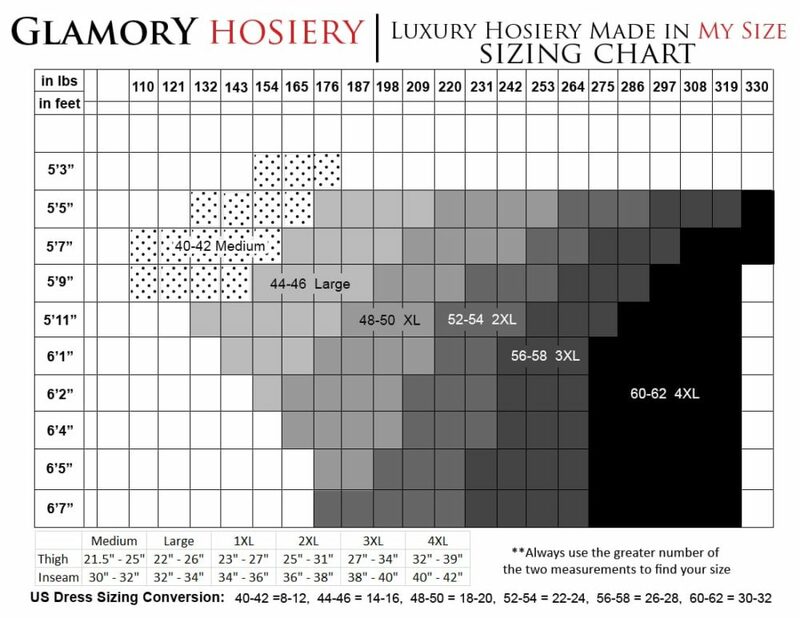 Glamory produce some of the best plus sized tights for women in the industry, so producing the larger sizes that’s required for men comes naturally to them. Men’s tights need extra material around the thighs and the crotch and Glamory have years of experience in creating these more generous proportions to create their superior fit. These sheerer items are ideal for adding a healthy sheen to the skin as well as the comfort and extra warmth of a pair of nylon tights.